Managed to get out for a short ride again today. 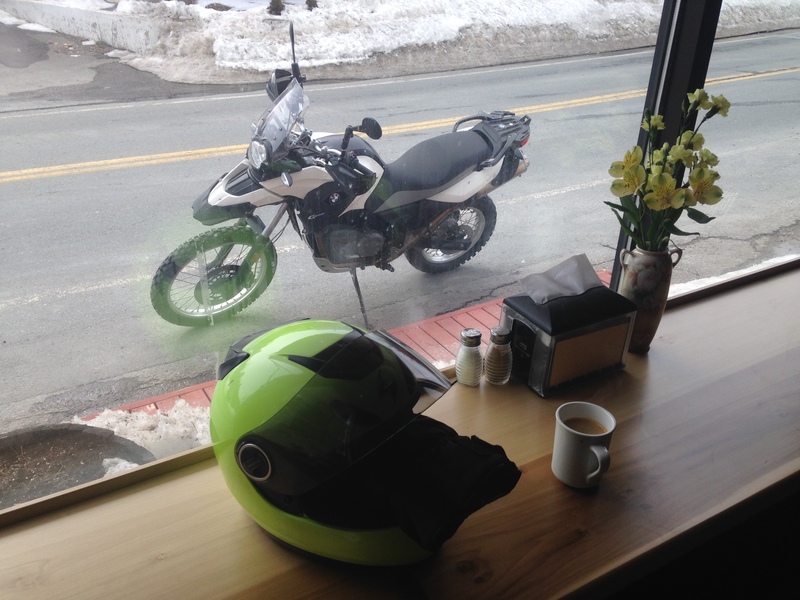 Despite the heated grips, it started to get cold after an hour. 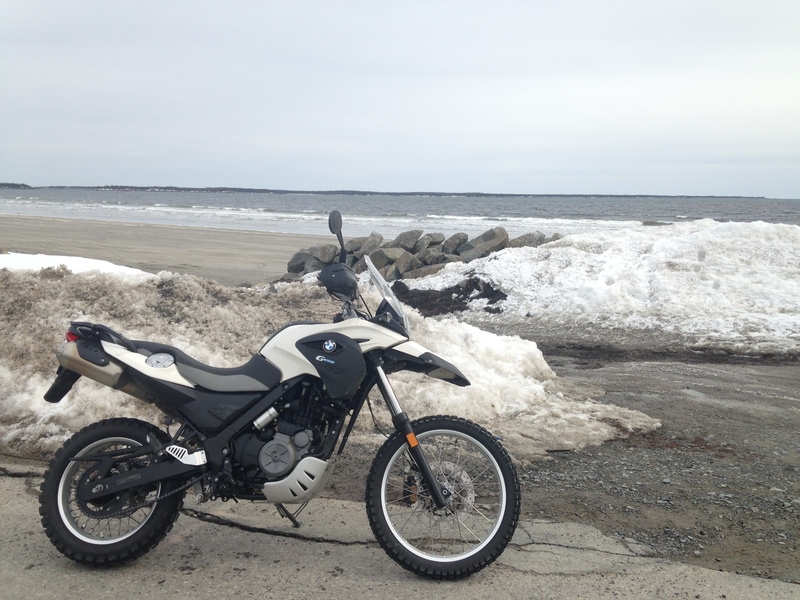 Rode past Crescent Beach but but didn’t feel like cleaning off frozen sand when I got home, so I left the beach ride for another day. 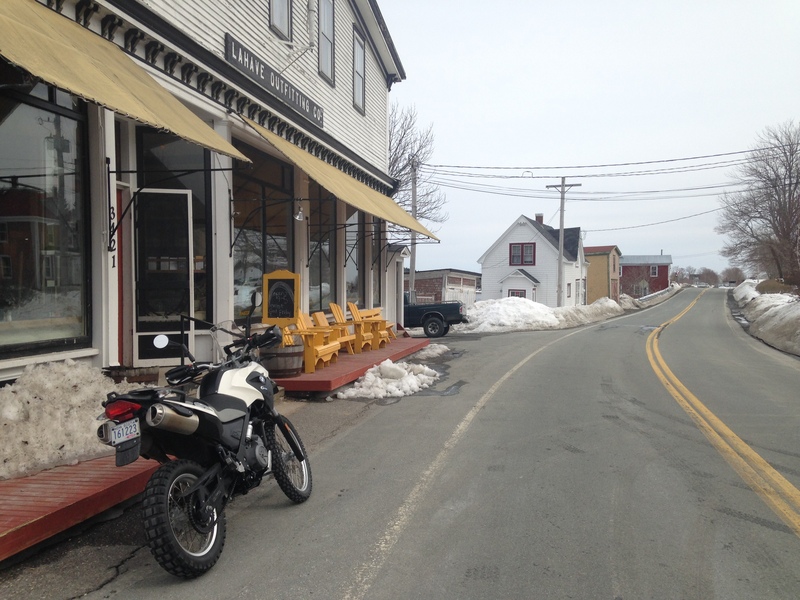 At least the deck is now clear at the LaHave Bakery. Had to stop for a coffee to warm me up! Almost there as it looks like the forecast for next week has the lows at plus temperatures! Hey, I can dream.